As a father, I know that I would do anything to keep my children safe — even take a dangerous journey to another nation if it was my last resort to protect them. That’s the same path many of our ancestors took, welcomed by Lady Liberty when they fled oppression, violence, or famine. This is also the story of the thousands of families and children who are currently living in limbo just across the border in Mexico. These families came north on a hard and often terrifying journey seeking safety in the U.S., only to be turned back at the very last mile. Last weekend, I went down to Tijuana to see firsthand how American policies are being implemented on the Mexican side of the border. What I saw in Tijuana was a betrayal of the values and ideals that America was built on — and there are men, women, and children whose dreams, health, and lives are being jeopardized as a result. In Tijuana, I visited seven shelters holding women, children, LGBT youth, and families. I also met with key Mexican and U.S. officials who are trying to navigate a very difficult situation that is made much worse by the actions of Customs and Border Protection (CBP) and Trump’s policy of criminalizing the asylum process. At ‘El Chaparral’ — the Mexican side of the U.S. port of San Ysidro — I witnessed the daily rollout of the ‘book’ that is the key to the U.S. policy known as metering — restricting the number of refugees who can apply for asylum at any particular border crossing. Although international law enables refugees to approach a border and ask for asylum, the U.S. CBP is blocking refugees from doing so. Instead, they are directed to go to a plaza, line up, and enter their name into a book, and receive a number that will give them the opportunity to approach the border at a later date. This book is reportedly managed by a group of refugees. Immigration advocates, however, believe that it is in reality supervised by Grupo Beta, a branch of the Mexican immigration service. The story that the book and waitlist process is entirely self-managed by refugees appears to be a convenient way for both the U.S. and Mexican governments to disavow responsibility. On Sunday morning, CBP informed the book keepers that the U.S. would allow 35 migrants to approach the Port of Entry. After the number and corresponding names were called, Mexican immigration officials ushered 35 people into vans and bused them to the other side of the port to be processed. These 35 individuals had originally put their names on the list on February 7th. 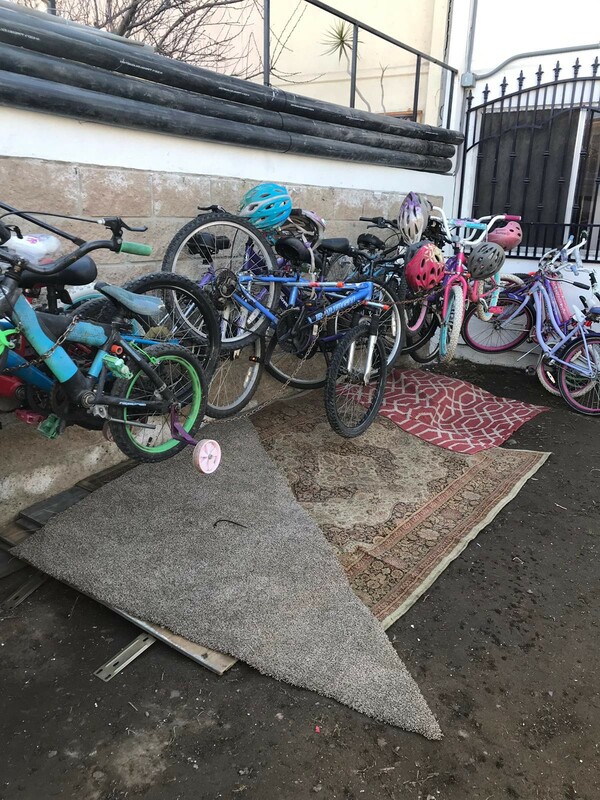 The U.S. policy forced the refugees to wait on the Mexican side of the border in a highly vulnerable state — since few have family or friends residing in Tijuana — for 38 days. After the American quota was filled at El Chaparral, newly arriving refugees formed into a line to add their names to the book. As of Sunday morning, approximately 3,800 names were on the list. At a reported average immigration quota of about 40 migrants per day, the wait for the newly arriving refugees could be much longer. But the plight for unaccompanied migrant children is even worse. They have not been allowed by either Mexican or American officials to approach the border directly to ask for asylum. In addition, they are not allowed to put their name in the ‘book’ used for metering migrants. This is a profound violation of their human rights under both U.S. and international law. The children are left in complete limbo in a very dangerous border town. I met migrant children who had been waiting for many months praying for some solution to this dilemma. If they turn themselves into the Mexican government agency responsible for children, that agency almost always will deport them back to the extremely dangerous circumstances they fled initially. 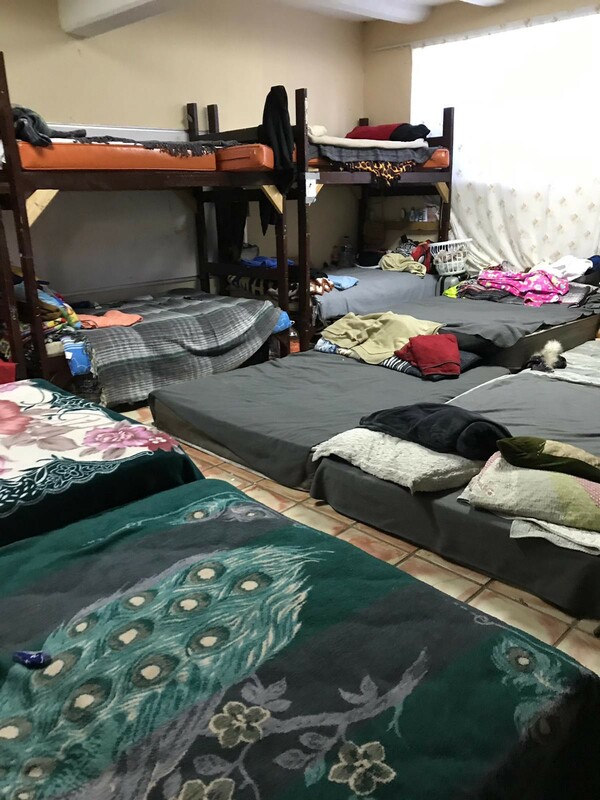 If, in desperation, they cross the border illegally, they land in the U.S. system of migrant child prisons like Homestead, which I visited a week ago. This process is totally unacceptable. CBP and Mexican immigration are complicit in an arrangement that leaves migrant adults and children stranded across the border in a situation extremely susceptible to abuse. The ‘book’ and the way immigration is managed is morally wrong and violates domestic and international law. This practice must stop. Another way in which the U.S. government is deliberately harming migrant families is through the Migrant Protection Protocols (MPP), also known as the ‘Remain in Mexico’ policy. Under this new MPP policy, migrants from Central America who pass an initial interview with CBP, meeting the ‘credible fear’ standard, are returned to Mexico to await an asylum hearing roughly 45 days later. As with the ‘book,’ this places migrants at great risk, alone and without a support network, in a city where gangs, murders, and trafficking present constant dangers. I was very impressed by the non-profits that are seeking to provide shelter to the stranded migrants. They are providing shelter in the midst of chaotic and violent conditions. The shelters are often crowded as they seek to provide help to more families than they have room for. One shelter I visited had two rooms, each with 17 mattresses stretched wall to wall, one family to a mattress. In addition, several tents were pitched outside under tarps. 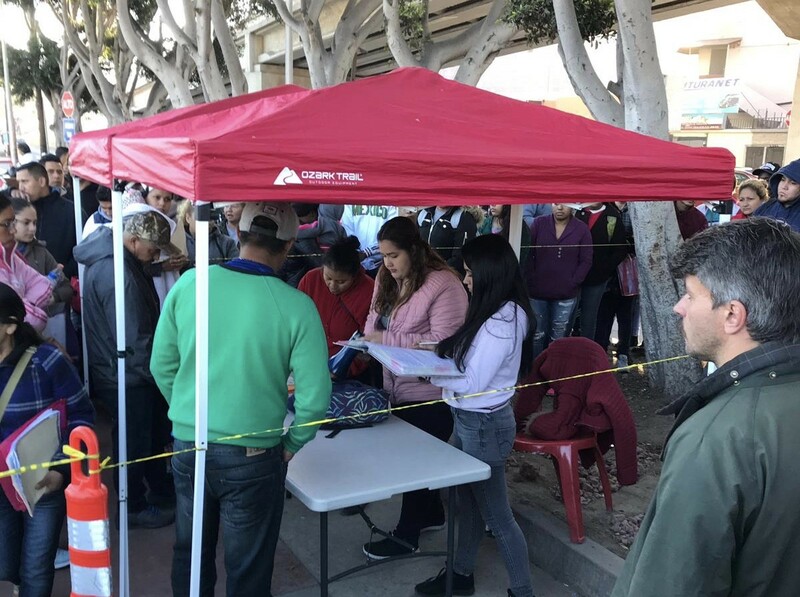 The shelters are stretched beyond capacity as they try to accommodate the families stranded in Tijuana by American immigration policy. When families fleeing persecution arrive at our borders seeking refuge, they should be treated with dignity and respect — not treated like criminals, and not shoved back into a dangerous city to navigate a Kafkaesque process that violates U.S. and international law. Let’s treat families fleeing persecution abroad in the same way that we would have wanted our own ancestors to be treated. It’s unacceptable that the Trump administration is violating the values we stand for as a nation — and I will keep doing everything in my power to stop it.